Make your day trips easy, organized and stylish with this insulated drop bottom bag. Head to the beach, the park, or out for a day of adventure and keep your medicines, snacks, or makeup cool and contained in a special drop bottom section. Where will you and your drop bottom bag go? 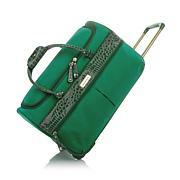 I love the color and durability of this bag. It's large and can fit anything you need. 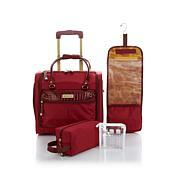 Perfect travel bag for a family with dietary restrictions. Instead of multiple snack bags I can carry this tote along with my own stuff. Hey Samantha, would love a backpack version of this! 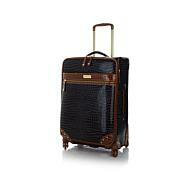 I have any SB pieces including her outstanding luggage and love all of them. This is a unique design because sometimes I want to travel with a large tote but also find myself bringing a paper bag containing snacks like an apple or a sandwich. Now I have everything in one neat space. Absolutely have nothing negative to report on this attractive yet functional piece. Samantha does it right and I stick with her and her products. Thank You Samantha! 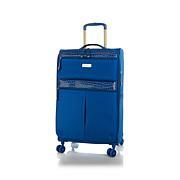 I received the Samantha Brown shopper with the 21 inch hardcase as a gift. It's absolutely beautiful. I have it in my favorite color, turquoise. I ordered the insulated drop bottom bag to match. It's perfect!!! I hope the 25 inch and 28 inch hardcase will be available again so that I can order it also. 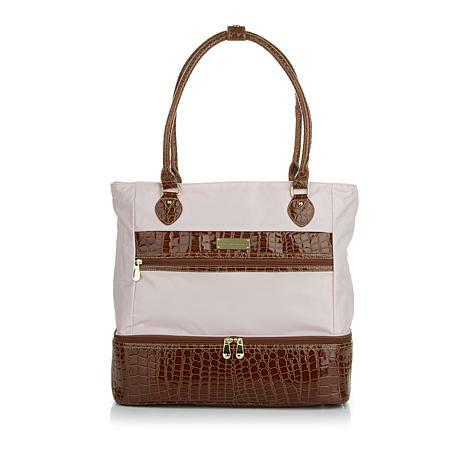 This is a very versatile and useful bag. You could use it as a gym bag, everyday tote bag, or a weekender. I'm always looking for a bag that can fit under the seat on a discount airline and hold enough to be my only bag for a weekend trip, thus saving bag fees. This works for that as well.